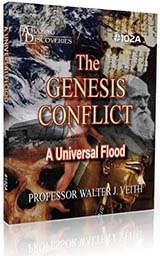 Summary: Based on the facts, how does the theory of a worldwide Flood hold water? The Bible is not the only place where the story of a worldwide Flood is told. Flood narratives are found in many cultures, and common threads run through all of them. 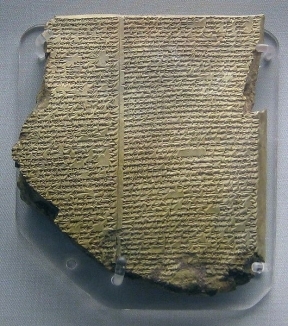 The Biblical Flood account, with Noah as the central figure, is written as a historic narrative, while most of the other accounts are considered myths. There are many similarities in the names of pre-Flood Babylonian characters and the figures in the Bible. The differences can be accounted for by phonetic shifts in the pronunciations. Both accounts thus seem to refer to the same event. If the Biblical Flood occurred, it is not surprising that these ancient cultures should bear testimony to such an event. 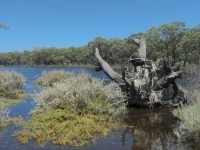 However, the Flood undermines the very essence of the evolutionary paradigm. In the theory of evolution, life on Earth must have been continuous from its inception to the present time, in order to allow for evolutionary change over time. 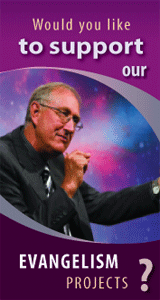 There is no room in this theory for the relatively recent destruction of terrestrial life. The chronology of the Flood from the time that Noah entered the ark to the time that he placed his foot on dry land spans a time of 1 year 17 days—the exact time may vary somewhat in some manuscripts. Scripture describes the week before the Flood waters came, the 40 day rain, the fountains of the deep bursting forth and the waters peaking and covering the mountains after 157 days. This is followed by the receding floodwaters, the drying of the earth by wind and Noah finally leaving the ark in the region of the mountains of Ararat, obviously in an area of high altitude. The time frame presented in the Scriptures does thus not exclude the possibility of the floodwaters continuing to recede for a much longer time after this period in lower areas. 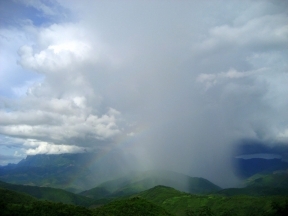 Moreover, since the floodwaters rose for a longer period of time than the rain fell, there must have been other sources of water involved than just the rain. According to the Bible, the waters for the Flood came from two sources: the rain from above and the fountains of the great deep from below. In the six hundredth year of Noah’s life, in the second month, the seventeenth day of the month, the same day were all the fountains of the great deep broken up, and the windows of heaven were opened (Genesis 7:11, emphasis added). The "great deep" implies not only that there was a lot of water, but also the source of the water: subterranean springs and the oceans. Thou coveredst it with the deep [tĕhowm] as with a garment: the waters stood above the mountains (Psalm 104:6). As Gerhard Hasel points out, tĕhowm refers to subterranean waters elsewhere in the Biblical narrative as well.iv In Deuteronomy 8:7 Moses describes the land Canaan as a land of water-brooks, fountains, and springs or deeps—tehômôth—or a land watered by wells. Thou didst cleave the fountain and the flood: thou driedst up mighty rivers. According to the context in which the word is used in Psalm 74:15, this implies that God split open the earth so that waters could come forth to feed the rivers. The use of the same word in Genesis 7:11 for ‘broken up’ thus seems likely to refer to the breaking up of the earth's crust to allow subterranean water to burst forth. Accordingly, the water for the Flood seems to have come from rainwater, subterranean waters, and the seas. These three sources account for the vast quantities of water required to not only cover the mountains but also destroy all the animals that had lived on dry land before the Flood. And the waters prevailed, and were increased greatly upon the earth; and the ark went upon the face of the waters. And the waters prevailed exceedingly upon the earth; and all the high hills, that [were] under the whole heaven, were covered. Fifteen cubits upward did the waters prevail; and the mountains were covered. And all flesh died that moved upon the earth, both of fowl, and of cattle, and of beast, and of every creeping thing that creepeth upon the earth, and every man: All in whose nostrils was the breath of life, of all that was in the dry [land], died (Genesis 7:18-22). The New Testament describes the Flood as a literal event. In Matthew 24 and Luke 17, Jesus Christ refers to the Flood as a historic event, which destroyed all humankind excepting those on the ark. The apostle Peter also refers to the Flood in a literal sense. For as in the days that were before the flood they were eating and drinking, marrying and giving in marriage, until the day that Noe entered into the ark, And knew not until the flood came, and took them all away; so shall also the coming of the Son of man be (Matthew 24:38-39). And spared not the old world, but saved Noah the eighth person, a preacher of righteousness, bringing in the flood upon the world of the ungodly (2 Peter 2:5). These plain statements of Scripture leave no room for compromise for those who wish to harmonize the Biblical account with the scientific evolutionary paradigm. Neither do they leave any room for minimizing the extent of the Flood to an isolated local event. Scripture testifies to a worldwide calamity enormous enough to dwarf even the greatest geological events advocated by science. It is interesting that Peter in his epistle alludes to a disbelief in the Flood account, which will undermine the faith in the last days. Knowing this first, that there shall come in the last days scoffers, walking after their own lusts, And saying, Where is the promise of His coming? for since the fathers fell asleep, all things continue as [they were] from the beginning of the creation. For this they willingly are ignorant of, that by the word of God the heavens were of old, and the earth standing out of the water and in the water: Whereby the world that then was, being overflowed with water, perished: But the heavens and the earth, which are now, by the same word are kept in store, reserved unto fire against the day of judgment and perdition of ungodly men (2 Peter 3:3-7). According to this verse, issues which will be considered contentious in the last days would be the truth of Christ’s Second Coming, the Creation account, and the belief in a worldwide Flood. 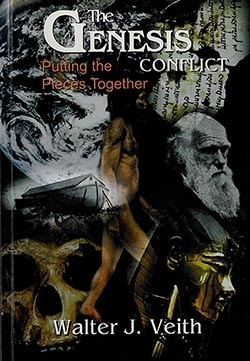 Moreover, the belief that "all things continue as they were from the beginning" alludes to a faith in uniformitarianism, which is a cornerstone of the evolutionary paradigm. And it repented the Lord that He had made man on the earth, and it grieved Him at His heart. And the Lord said, I will destroy man whom I have created from the face of the earth; both man, and beast, and the creeping thing, and the fowls of the air; for it repenteth Me that I have made them. But Noah found grace in the eyes of the Lord (Genesis 6:6-8). And God said unto Noah, The end of all flesh is come before me; for the earth is filled with violence through them; and, behold, I will destroy them with the earth. Make thee an ark of gopher wood; rooms shalt thou make in the ark, and shalt pitch it within and without with pitch (Genesis 6:13-14). And of every living thing of all flesh, two of every sort shalt thou bring into the ark, to keep them alive with thee; they shall be male and female (Genesis 6:19). The truth of Scripture can be verified by discoveries in the fossil record as well. i. W. H. Shea, "The Antediluvians," Origins (1991): 10-26.
ii. "rab," Strong's Concordance, blueletterbible.org. iii. "tĕhowm," Strong's Concordance, blueletterbible.org. iv. G. Hasel, "The Fountains of the Great Deep," Origins 1:2 (1974): 67-72.
v. "baqa'," Strong's Concordance, blueletterbible.org.